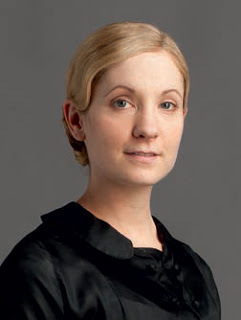 Should Julian Fellowes ever decide to write a spin-off series from Downton Abbey, Joanne Froggatt already has one idea. At the beginning of the new series, Anna’s career is on the up, but her main concern is still dealing with the emotional anguish of having her husband in prison. Not for a minute, says Froggatt, has Anna questioned her husband’s blamelessness. That makes her all the more determined to prove it to the rest of the world. But standing up for her husband in the face of both hostility and indifference takes its toll. Anna’s time in London, at the prison and on the trail of the truth has at least meant that Froggatt, who in her real life is a fashion fanatic, finally gets to wear something other than the same old pinny. It’s the fashions that Froggatt would most like to teleport from the 1920s to modern life. Froggatt has been to the US four times in the last year, so she’s had ample chance to sample the Downton Abbey effect as it has grown. But of course Froggatt looked a little different at the awards ceremonies compared to her dowdy Downton Abbey look. Filming Downton Abbey takes up a sizeable chunk of its stars’ year – series three took seven months. Even so, Froggatt has managed to squeeze in three film roles that could hardly be further from the 1920s or Anna Bates. “One's called UWantMe2KillHim, a British feature film, one’s called Filth with James McAvoy and Jamie Bell, and then I'm doing another one at the moment with Eddie Marsan called Still Life. What I will tell you is that only one of them involves me doing any investigating!